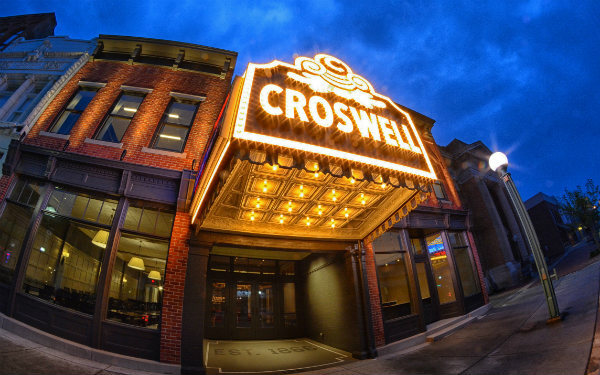 The Croswell is committed to providing access to all patrons. Elevator and wheelchair lift: A wheelchair lift provides access from the street level and front lobby to the auditorium. Since our 2017 renovation, the front lobby, ticket office, and Farver’s bar are all on the same level. An elevator provides access from the main lobby to the mezzanine level, including the James E. Van Doren Studio. The 1921 balcony, which has steps built into its structure, is not fully accessible. Wheelchair-accessible seating: Spaces for wheelchairs are located in both the front and rear of the auditorium, and on both the left and right sides. These spaces are designated by a wheelchair symbol on our ticketing page. Hearing assistance: Two different forms of hearing assistance are available. We have headsets that will work anywhere in the auditorium; in addition, patrons who have hearing aids equipped with a hearing induction loop can receive signals anywhere on the orchestra level. If you have any questions about access, please call us at 517-263-6868.